It’s that time of year when everyone is gearing up to wear their favorite costumes and consume a bunch of sugar. Or if you have kids like my son, you don’t really need a reason to be in costume. Carson feels the need to be in character whenever we are watching a movie or playing with toys in his room. 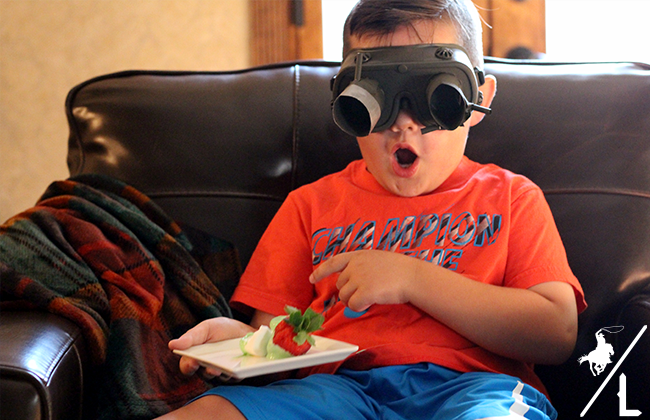 So in honor of the 2016 Ghostbusters being released today on Blu-ray, DVD and 4K Ultra HD (with an extended edition that includes 15 extra minutes not seen in theaters and 3 hours of extras), I decided to make Carson some ecto goggles to make our movie night a little more fun. 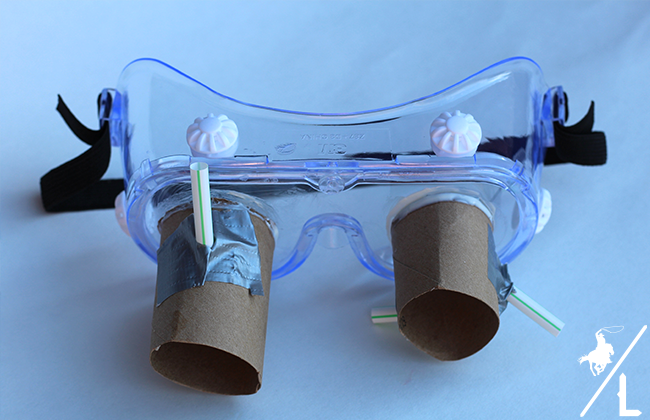 Cut about 1/3 of the toilet paper roll – so you have 2 pieces and 1 is longer than the other. 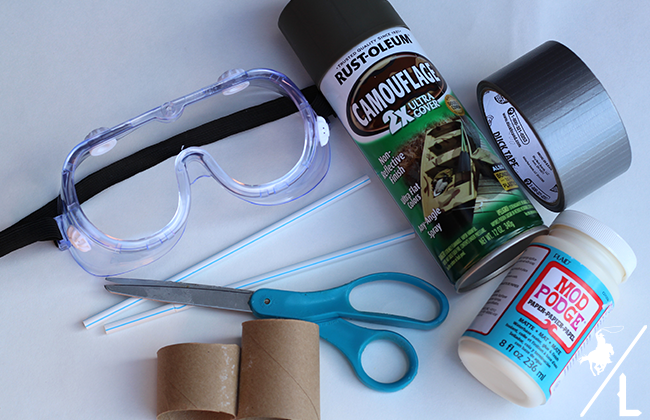 Once dried, cut 3 pieces of the straw and attached one to the right side and 2 to the left using duct tape. 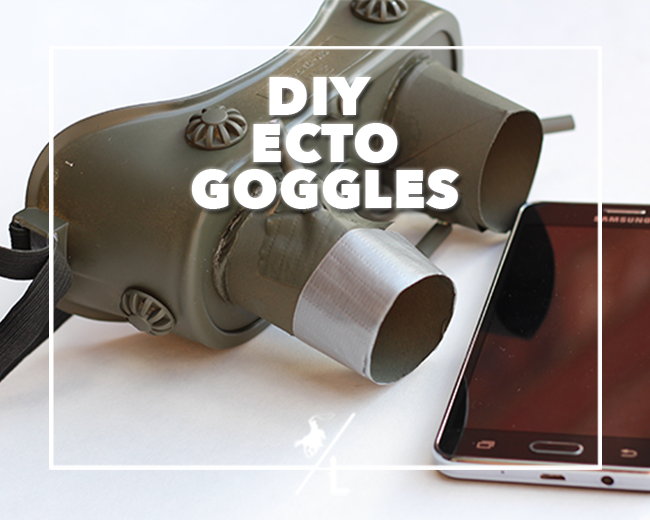 Spray paint goggles and let dry completely. 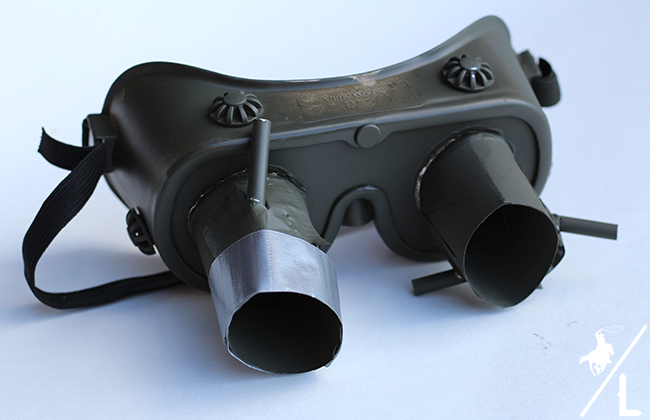 Wrap a piece of duct around the right lens. 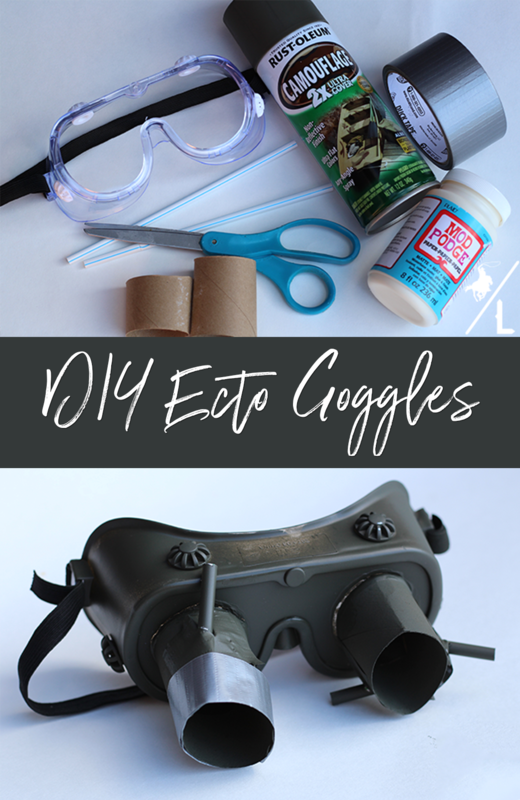 Now let your kiddo enjoy his new goggles! Movie nights are big in our house. After a long week, we want to do something fun as a family but not actually leave the house! That is one of the reason I like purchasing my phone through Walmart Family PLUS because not only do I get unlimited talk, text, data; 10GB 4G LTE for $49.88 a month, but also a free movie rental ($7 value) on VUDU each month. I bought the Samsung Galaxy On5 for $119. Grab your Nano Starter Kit for $19.88 and you are ready to go! 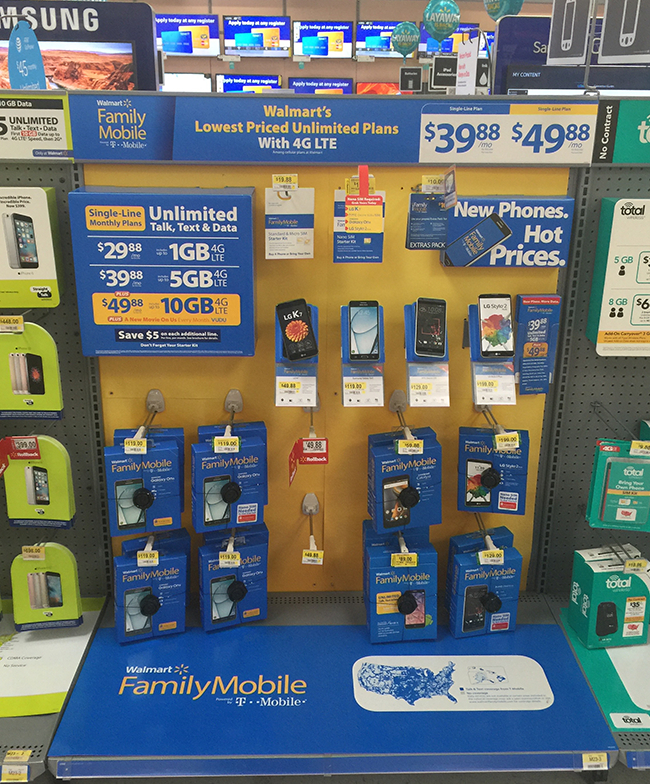 I like that purchasing a phone at Walmart is hassle free and only takes a few minutes! Nice and simple. I like have the extra data because I am constantly taking photos and videos of my son. I don’t have to worry about storage or if I have room to download more games since I have the extra space. You can visit your local Walmart for an in-store event on how to download the virtual reality experience and to activate a new line. Don’t forget to pick up a Blu-Ray copy of the New Ghostbusters while you are there! 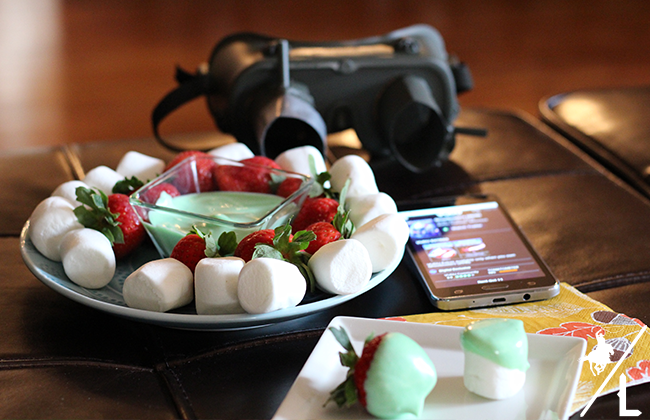 You can also whip up this slime fondue with strawberries and marshmallows to snack on while watching the flick. All you have to do is melt a cup of white chocolate, add 3 drops of green food coloring, stir and enjoy! Who you gonna call on your new WFM phone?